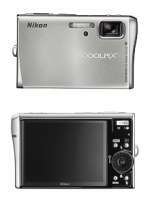 You always wanted to make some of your smaller size pictures taken maybe with an older digital camera bigger? Spent hours trying to achieve this in Photoshop or some other program just to see that the results aren't what you were expecting. Now you have the perfect tool for that job and the best thing about it is that it is free. HP today announced that it will seek an alternative business model for its HP-branded cameras and shift resources toward its Print 2.0 growth initiatives. HP is currently working to identify an original equipment manufacturer (OEM) partner that would be licensed to design, source and distribute digital cameras under the HP brand. 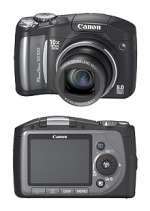 >>more about HP abandoning camera market? 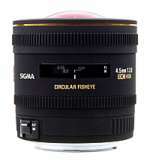 The imaging properties of the ZF-I lenses are just as excellent as those of the high-end ZF lenses. The silver metal finish immediately identifies the industrial version. Furthermore, the ZF-I series is particularly suitable for rough technical applications. The lenses are protected against spray water and specially sealed against dust. Olympus is pleased to announce the release of six kits tailored to the requirements of photographers working in professional fields. 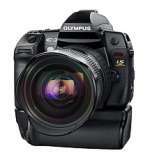 Each features the superior technology and latest imaging innovations of the Olympus E-System. Based on either an E-410 or E-510 D-SLR body, all kits boast Live View for ease of framing and incorporate a new generation 10 Megapixel Live MOS sensor so that image quality, speed and sensitivity are all second to none. Thanks to adherence to the Four Thirds Standard, the six new pro kits offer cross-manufacturer compatibility to safeguard the investment for the future. Primed for any assignment and satisfying the most stringent demands for professional D-SLR photography, the long-awaited Olympus E-3 is finally here. 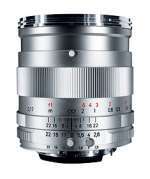 To celebrate the occasion, Olympus has two special offers for early purchasers of its new flagship model. Eastman Kodak Company has introduced a new advancement in Charge Coupled Device (CCD) image sensor technology that significantly improves performance for applied imaging applications. Kodak’s new Interline Transfer CCD technology platform will be the basis for a full portfolio of image sensor products targeted to markets such as industrial and scientific imaging, starting with the newly announced KODAK KAI-01050 Image Sensor. For capturing great portraits with ease, Nikon has enhanced their hallmark Face-Priority AF feature. When using the camera’s convenient One-Touch Portrait button, the S51c will be able to detect up to five faces in a frame, ensuring in- focus smiles and properly exposed faces. In addition to face detection, S51c users will be able to take advantage of In-Camera Red Eye Fix, for fixing most instances of red eye, D-lighting, a feature that automatically lightens dark images as well as Optical Vibration Reduction, ensuring sharp pictures. This camera will also utilize EXPEED, Nikon’s new imaging processing system for enhanced speed and brilliant color reproduction. Five colour options – black, blue, green, pink, white – plus cutting-edge styling makes the T2 stand out from the crowd. It also features exciting new ‘Sharemark’ technology which is perfect for those who enjoy sharing their pictures online. The social networking phenomenon has swept through Europe and now with the T2 it couldn’t be simpler to upload your favorite pictures directly to blogs and image-sharing web sites. Sony Europe’s Recording Media & Energy (RME) division have announced the launch of three high speed (300x)* CompactFlash cards to meet the capacity and speed demands of professional D-SLR photographers and ambitious amateur photographers. With UDMA (ultra direct memory access) support, the new media achieve data transfer rates of 45MB/s during write operation. The new Sony CompactFlash 300x card, which complement the existing line-up of 66x and 133x cards, will be available with capacities of 2GB, 4GB and 8GB. 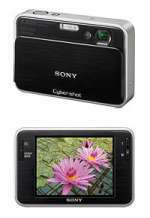 They will be branded as part of Sony’s α (pronounced alpha) D-SLR camera system. 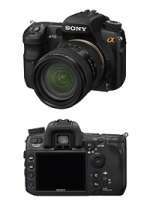 Sony announced its newest addition to the α digital SLR camera system. Aimed at serious photo enthusiasts and semi-professionals, the α700 teams uncompromising performance and responsiveness with superlative HD image quality – from shooting to viewing. In addition to its rugged build quality and pro-friendly features, the α700 redefines ease of use for such a highly-specified digital SLR camera. Thanks to its intuitive new navigation system, camera settings can be adjusted in moments under the most exacting shooting conditions. SanDisk Corporation today announced that the SanDisk 16-gigabyte Extreme III CompactFlash card has won an Editor’s Choice Award from American Photo magazine. This is one of the photographic publishing industry’s most authoritative honors, with judging criteria based on quality and performance. The announcement was made during PhotoPlus 2007 International Conference, where SanDisk is exhibiting through Saturday in the Jacob K. Javits Convention Center. Photo sharing needs to be close to everybody's everyday life. Therefore, no language boundaries should refrain its use. 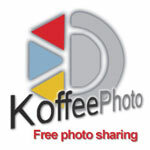 Since beginning of its development, KoffeePhoto was to break the boundaries and address the needs of photo sharing throughout the world. With this in mind, KoffeePhoto rapidly included five locales, being English, French, German, Japanese and Spanish. More capacity and fast transfer speeds are the chief benefits of the SanDisk Extreme III 8-gigabyte SDHC (SD High-Capacity) flash memory card, which was introduced today by SanDisk Corporation. This and other imaging products from SanDisk will be displayed in Booth 1808 at PhotoPlus 2007 International Conference, which opens Thursday at Jacob K. Javits Convention Center.